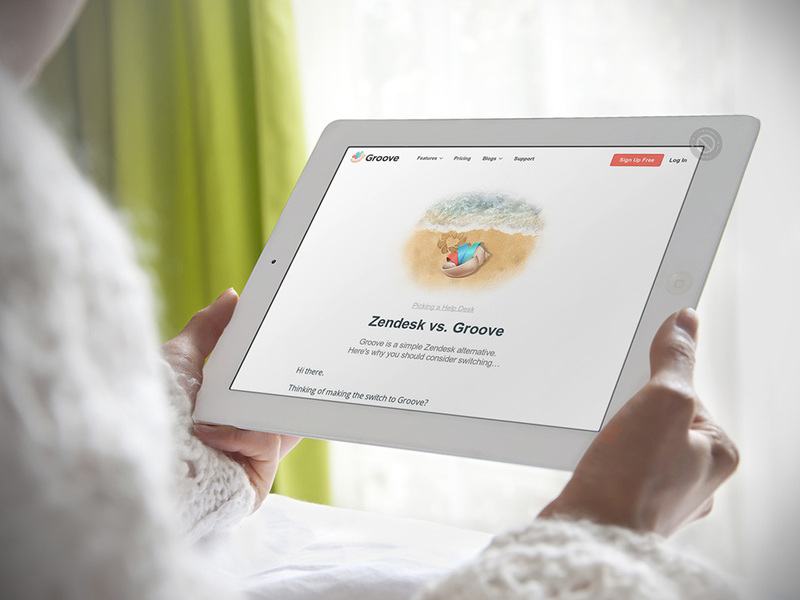 Groove, self-depicted as “a simple alternative to Zendesk,” has made significant strides in growth in the past months, let alone the past year. While most companies I get the opportunity to collaborate with are really focused on growing, Groove has a refreshing focus on testing. Their meticulous attention to detail has helped drive dramatically quick growth, specifically with their unique CRO techniques. 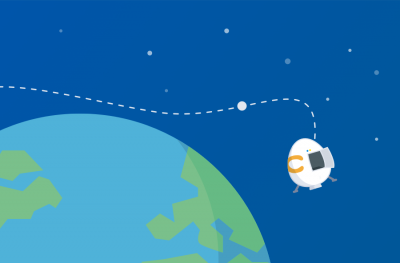 Cataloguing their progress in their journey from concept to $100,000 in monthly recurring revenue, Groove has written a lot about their tests, marketing projects, and just how they have achieved so much growth so quickly. Every bit is important, but this post will focus more on the tests they’ve used to specifically increase their conversion rates, from blog subscribers to trial conversions. When Groove first started guest blogging, they began to see an impact immediately. The first post on HubSpot’s blog opened the floodgates to new traffic, and subsequent posts on influential blogs like Buffer, Copyblogger, KISSmetrics, Shopify and Unbounce kept the visitors coming. Unfortunately, for a long time, they were leaving conversions—and revenue—on the table. 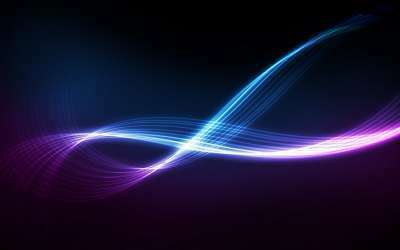 For a long time, when visitors clicked on a link to Groove in one of their posts, they’d be sent to their homepage. It converted reasonably well (a little under 5%), but traffic that targeted should be doing much better than that. The problem was that they were sending these qualified leads to a general, untargeted page. The question arose, is this the right path to take? Should this targeted traffic go to an umbrella page or a more granular piece of content? Finally, Groove ended up testing a targeted landing page that welcomed visitors, mentioning the specific blog post they came from, sharing similar content to what they’d just read, telling them a little bit about Groove and offering them a special extended free trial—just for them. The first custom landing page tested was for a guest post on Buffer, and visitor-to-trial conversions tripled right away to more than 15%. It’s such a simple tactic, but the value of holding your visitors’ hands can’t be understated. This is how Groove was able to increase their subscriber list signups from 5% to 15% for all of their guest blogging referral traffic. Bland, boring and totally ineffective. All it promised was the vague and meaningless “email updates.” As it turns out, nobody wants email updates. Its copywriting is clear and bold with a direct promise of what a visitor will get when they sign up. Conversions went from under 2% to nearly 6%, and they’re constantly getting emails about the form from new subscribers. Groove has even seen people swipe an exact copy of their form for their own blogs. Groove has redesigned their site and tested new layouts many times over the years, but the biggest boost in conversions didn’t come from an A/B test on a specific call-to-action color or any other small hack. It came from talking to their customers. Groove did a deep dive with customer interviews, asking people what they loved about Groove, what they hated about it, and most importantly, what the experience of choosing and signing up for Groove was like. They wanted to get deep into the heads of prospects and understand their challenges, objections and fears in their own words. “In their own words” is the key there, trying to get as close to the nature and psychology of their customers as possible, so that they can tackle their exact problems with copy up-front on their site. It paid off. After rewriting their copy and headlines to be more inline with their customer feedback, Groove’s new site converted at 4.3%, a huge bump from the 2.3% of the previous iteration. In some cases, they literally took phrases that their customers said to them and inserted them as the copy on the site. Customer development is probably one of the most high-impact things Groove can do when it comes to marketing, and they still focus on it today. Last month, Alex spent 500 hours doing customer development. One of the most interesting pieces of feedback Groove received in their customer development efforts was that the trial period was too short. People didn’t feel like they got enough time to truly “kick the tires” in 14 days to make a decision on whether or not to pay for Groove. 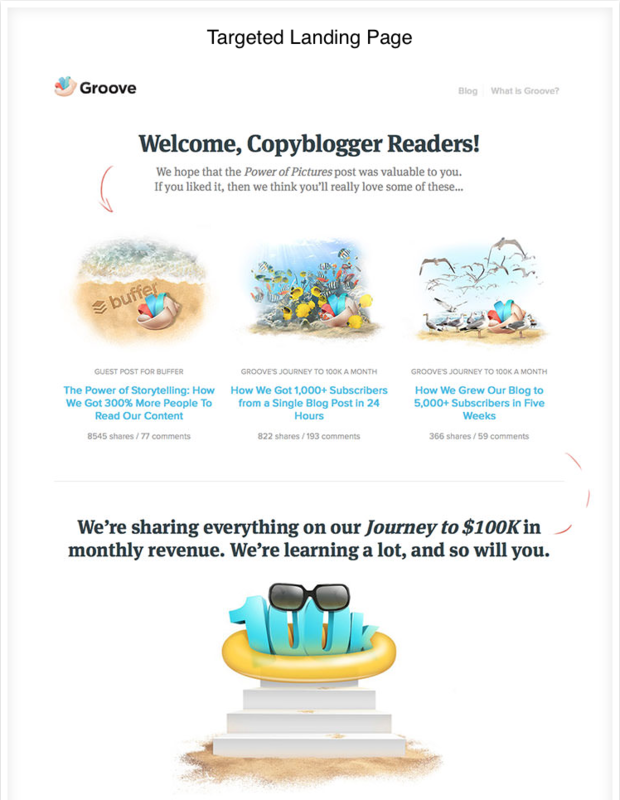 After a lot of thought, planning, modeling and testing, Groove decided to give 60-day free trials a shot on a limited basis, offering 60-day trials on many of their targeted landing pages as special offers for blog readers and customers of their partners. As it turned out, users on a 60-day free trial were almost 30% more likely to convert to paying customers. So last month, Groove started offering 60-day free trials to all new customers. It’s still early and they’re still gathering data, but the results are very promising: almost a 10% lift in visitor-to-trial conversions from their marketing site. The key takeaway is to consider the onboarding process and how long it really takes for someone to get fully invested in your product and experience enough to make a conscious, well-calculated decision in comparison. Think about how long it takes to bring in an entire team into the mix and gain feedback from everyone. If your product is really worth its weight, you should get a much better response from the right trial length. With the launch of the new customer service blog, Groove was looking to test new ways of driving higher conversion rates on their subscription forms. They’ve tried several tests so far, but by far the most effective has been adding a persistent Hello Bar to the blog. Roughly 1.3% of the people who see the bar sign up for their mailing list. And while that may not seem impressive at all, consider that the main form conversion rate (around 5%) hasn’t dropped at all since installing the Hello Bar, so it’s practically a 20%+ boost in conversion. Groove also gets a lot fewer complaints about it than they do about the lightbox popups and it’s definitely helping the list grow, so it’s a no-brainer for getting more signups. Hello Bar is really easy to set up and easy to see the effects of immediately. 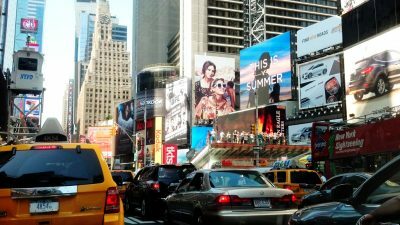 These are some fundamentally unique tactics for increasing conversion, but they all have a similar focus—trying to get closer to the customer. Groove is, after all, a customer support business so it would make sense that they have a unique approach to getting better conversions through customer support. Capture leads from referrals in a controlled source, offering over-the-top value to visitors to make them like you just that much more. 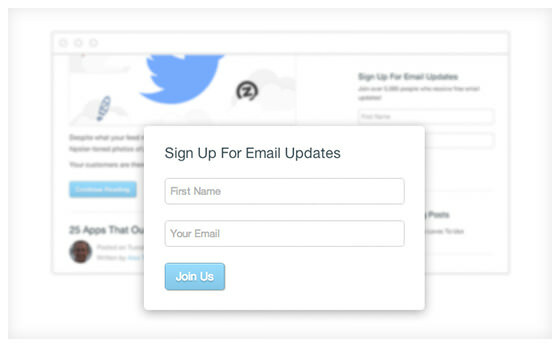 Make sure your sign-ups stand out and are actually intriguing from a visual perspective and a sheer value perspective. Learn how your customers talk about you and about the things they care about. Use that same language in your website copy. This gets you closer to the customer’s subconscious and makes the relationship more natural and appealing. When offering a free trial, think about how long it will take for a customer to get fully invested in your product, to the point where they are almost sure to sign up. Sometimes quick wins are just around the corner, and if you can give a better call to action quickly for a specific goal segment, set it up, test it, and see how it does. If it doesn’t work out, it’s low commitment and you can cut the cord if need be. Bottom line, always test everything. What are some of the wins you’ve had in CRO for your SaaS business? Have you used any of these same tactics? How did they work out for you? Read other Crazy Egg posts by Sean Smith.